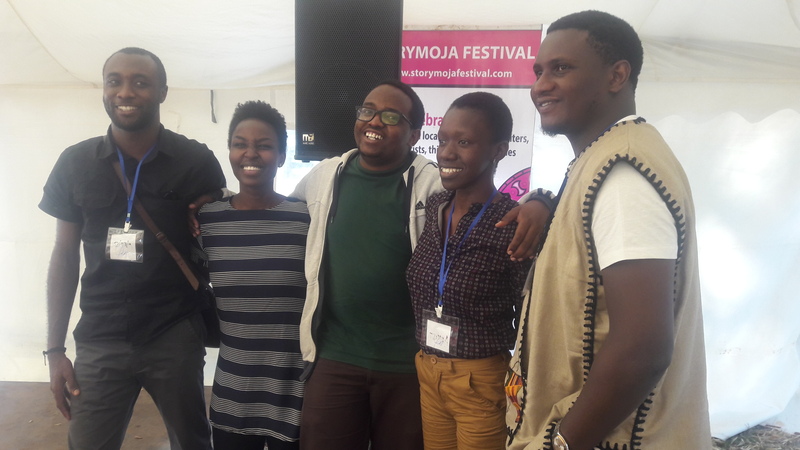 The last day of the Storymoja Festival 2015 was on Sunday. The Arboretum, like the name tells you, is a place dedicated to trees so on a typical weekend you will find a specific demographic there. It’s a special mix of lovers courting, joggers err… jogging and people doing picnics with religious organisations making it a favourite destination. Every once in a while, there are events that happen there like the Koroga Festival that happens every two months. Unlike on Saturday where I was shuttling between sessions and missing half of each, I decided to attend each panel fully on the final day. 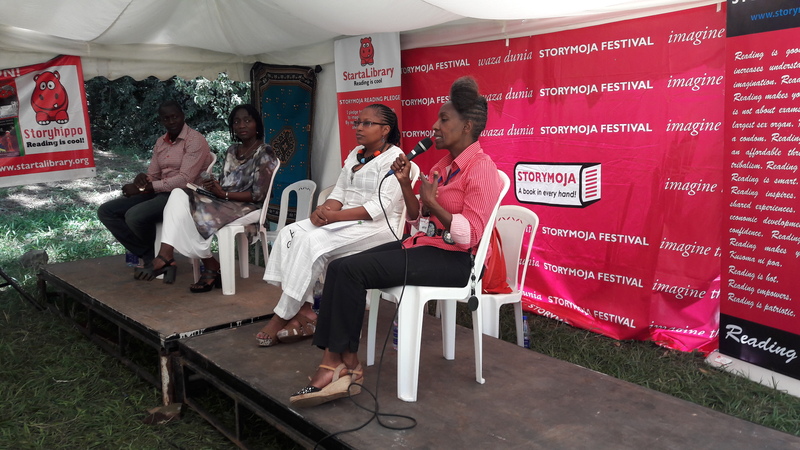 The first panel I attended was “The Power of Biographies” which was moderated by festival founder Muthoni Garland. Her panel include Alice Nderitu whose biography on legendary marathoner, even for a Kenyan, Catherine Ndereba which will be out soon. I will be curious to see what new gems there will be in this one compared to the unofficial biography 2008 biography of the same athlete by Nganga Mbugua. Also on panel was festival patron Dr Auma Obama, who is the author of her memoirs And Then Life Happens. The final participant was Maurice Makoloo who works for the Ford Foundation which is responsible for supporting the production of biographies like The 5th Columnist by Liz Gitonga-Wanjohi. The introduction that most interested me was Dr Auma Obama’s as she explained her relationship with the festival and the role of the next generation in this. She also explained how amazing the African was in being able to navigate the in the world of the West just a generation after the colonial project (my words). There is a video on here showing her words verbatim. Alice Nderitu informed us how she knew Catherine Ndereba and how the athlete’s achievements inspired a generation of girls in her hometown of Nyeri which wasn’t famous for athletics. Maurice Makoloo explained the importance of biographies to the Ford Foundation and its part in the biographies in the region. The next must attend panel was “Speculation: Future of literary magazines.” This panel featured some of the leading lights in the literary magazine genre with Nigeria’s Saraba Magazine being represented by Emmanuel Iduma who moderated the panel as well as poet and doctor Dami Ajayi. The other “magazine” was Jalada and it was represented by Linda Musita, Moses Kilolo and Wanjeri Gakuru. These are folks who decided to try something new so that they could get their work out as writers and stumbled onto something. Saraba is the older sibling having started in 2009 and having taken a while before they were able to make a few bob with it. Jalada is only two years old but they have emerged fast on the continental market as they are a collective, kind of like an African literary Wu Tang Clan. 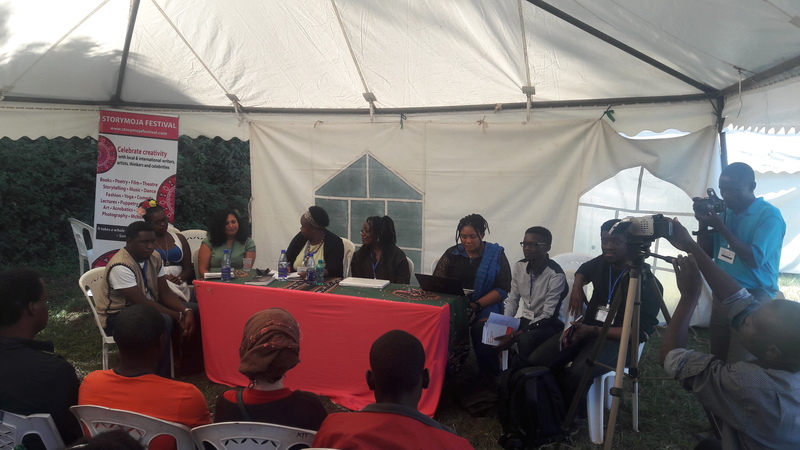 The last of the panels was “Africa Writes” which was being moderated by Goretti Kyomuhendo and featured a bunch of writers (or is that a crate or writers, or a wine cellar of writers or a single malt of writers or…). The list included Ogechukwu Promise (Naija), Dami Ajayi (Naija), Ciku Kimeria (Kenya), Khulekani Magubane (the country conquered by Japan at the rugby), Tsitsi Dangerembga (Zimbabwe), Aleya Kassim (Kenya) and Dominic Otiang’a (German turned Kenya… or is it Kenyan turned German). At this panel people basically shared their experiences in the African writing game. According to my snitches, the evening panel was to die for. This was the Kofi Awoonor Memorial Lecture dedicated to Kofi Awoonor was killed when he was a guest of the Storymoja Festival in 2013 in a terrorist attack. The lecture “Nairobi Calls Again” was given by Awoonor’s son Afetsi who was with his dad when the bag guys came calling and he was injured. It was his first time on Kenyan soil after that awful time which was quite emotional for him. This ended the year’s Storymoja Festival that saw so many events. See you next year folks. Next Next post: Nairobi International Book Fair 2015 is here!